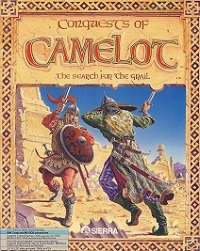 Conquests of Camelot statuette. According to John Williams these were "executive gifts" given to members of the press and bigwigs at the top retail and distribution companies. Picture courtesy of Robert Fischer.